Facing a 2-0 deficit and a tough San Antonio Spurs team, the Oklahoma City Thunder were going to need some reinforcements in Game Three of their Western Conference Finals matchup with San Antonio. 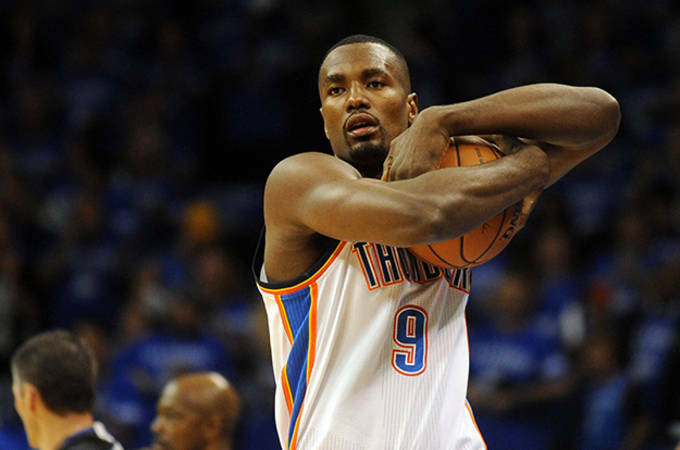 Serge Ibaka made a miraculous recovery and returned after a two-game absence from a left calf strain. The injury was originally supposed to keep Ibaka out of the entire playoffs. 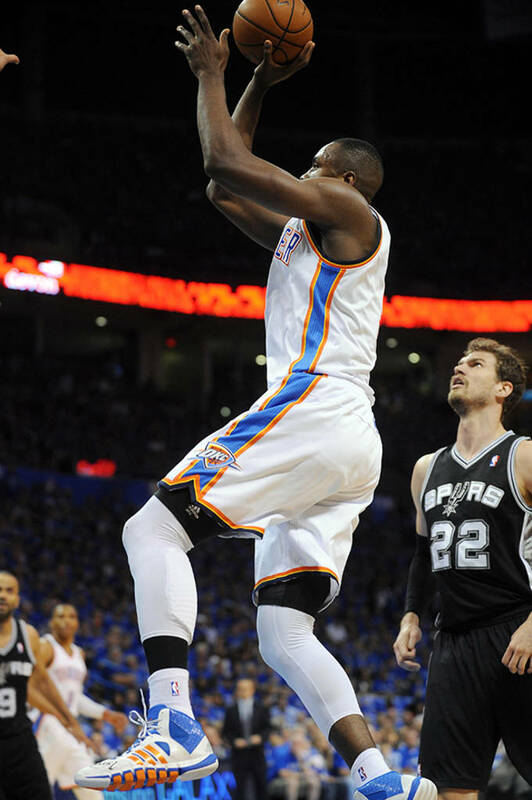 The Thunder big man was impressive out of the gate, scoring 8 points with perfect shooting in the first quarter. 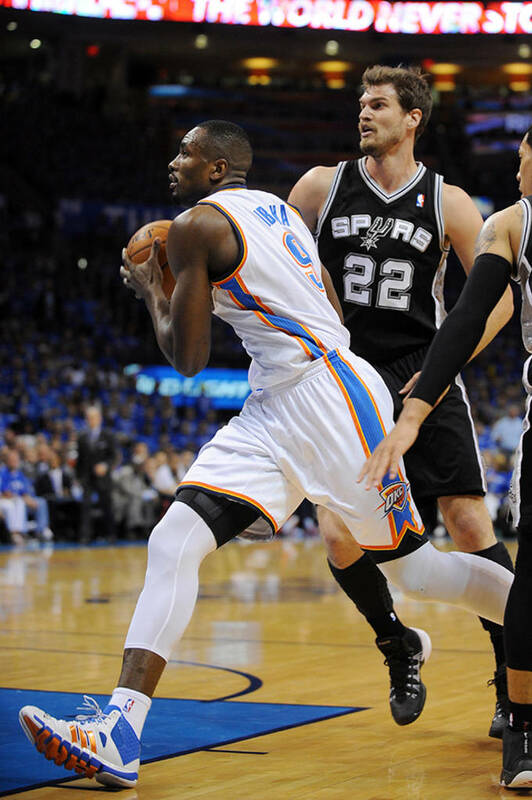 He finished the game with 15 points, 7 rebounds, and 4 blocks as OKC cruised to a 106-97 victory over the Spurs. 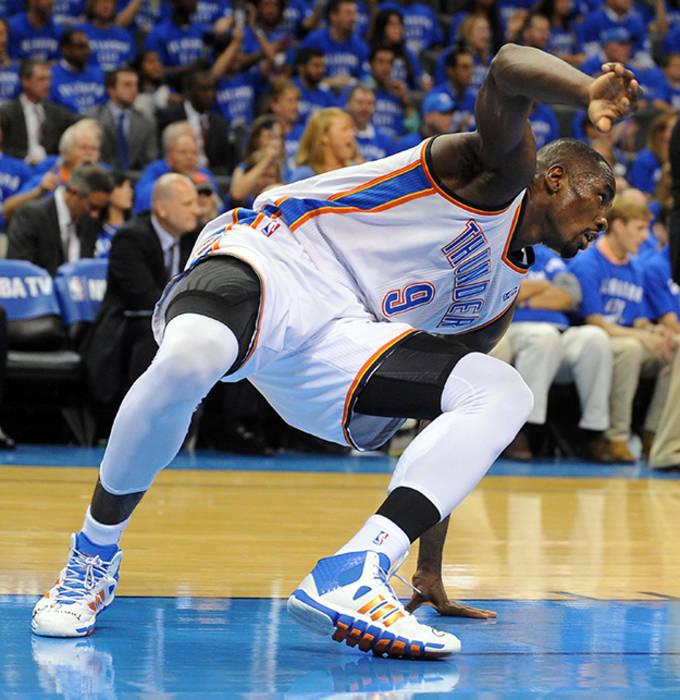 Ibaka wore a PE of the adidas Crazy Ghost in his return to action and if he&apos;s going to block shots like he did last night he might as well stay with the shoe.